We've been having an unusually cold and snowy winter, which has attracted a resident of the spruce tree next door to where I feed birds. 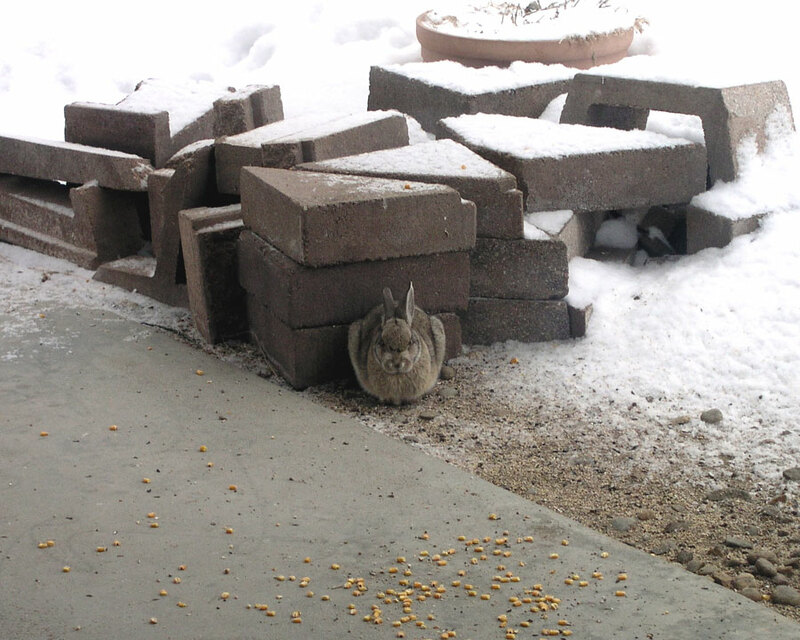 (See "Bored Rabbit") Mike took this picture of him looking like he was quite done with all this snow and cold and stuff...stupid snow. stupid wind.